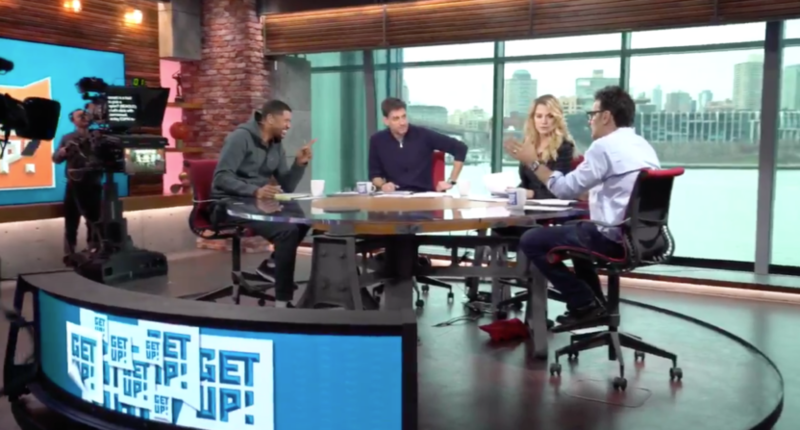 What could ESPN's 'Get Up' hosts' $14.5 million in salary get you in the sports world? What could ESPN’s ‘Get Up’ hosts’ combined $14.5 million in salary get you in the sports world? 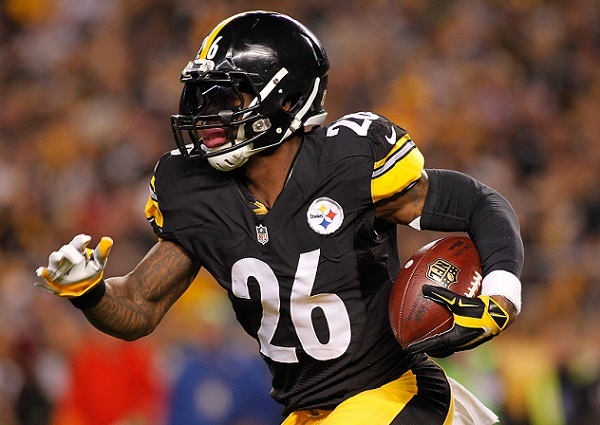 The combined $14.5 million could get you Le'Veon Bell, J.R. Smith, or Nelson Cruz. Mike Greenberg's $6.5 million could almost land you Mitch Trubisky and could get you Karl-Anthony Towns. With ESPN’s Mike Greenberg, Michelle Beadle and Jalen Rose-fronted Get Up morning show sliding ever closer to its April 2 debut (three months after it was initially set to launch on Jan. 1), there are plenty of pieces interviewing the hosts, but few where they say anything interesting. Most of the profiles are along the same lines as what we saw in January, with vice president of studio production Bill Wolff saying the show will touch on politics when they intersect with sports, Rose saying he looks forward to that, Greenberg saying he mostly wants to stick to sports and be “all things to all sports fans,” and so on. But Marisa Guthrie’s Hollywood Reporter piece on the show has something very interesting beyond quotes from the hosts; a salary breakdown. It’s a big, costly swing for the network, including leasing a 21,000-square-foot studio and office complex in Manhattan’s South Street Seaport and nearly $15 million in talent salaries ($6.5 million for Greenberg, 50; $5 million for Beadle, 42; and $3 million for Rose, 45, sources say). Greenberg has worked with Rose on various ESPN platforms but never with Beadle, who returned to the network in 2014 after less than two years at NBC. That’s a whole lot of money. It isn’t believed to be the sports media world’s absolute largest salaries (Greenberg’s salary is in line with what Jon Gruden was making in 2015 when he was reportedly ESPN’s highest-paid employee, but things may have changed since then, and Greenberg alone will make only .65 Mannings, while the whole cast will make 1.45 Mannings), but it’s definitely up there. And that brings up an interesting thought of how this would compare to various professional sports. NFL: Using 2018 cash (including bonuses) rather than cap hit, the $14.5 million for all three hosts could almost get you Steelers’ running back Le’Veon Bell ($14.544 million). It could more than get you Bengals’ QB Andy Dalton or Redskins’ CB Josh Norman (both around $13.9 million). And if you want to go to the truly elite range, there’s always Ravens’ QB Joe Flacco for $12 million, which would leave you a couple of million to sign other people. If you go just by Greenberg’s $6.5 million, you could get Ravens’ safety Eric Weddle, Buccaneers’ guard J.R. Sweezy or defensive end William Gholston, or Jets’ center Spencer Long, and you could almost get Eagles’ DT Michael Bennett ($6.650 million) or Bears’ QB Mitch Trubisky ($6.597 million). NBA: The offerings here are a little more limited, as top NBA players make a whole lot. In average salary, $14.5 million gets you Tony Parker or J.R. Smith. But $6.5 million could get you Karl-Anthony Towns, Andrew Wiggins, or Ben Simmons; as always, rookie contracts are a nice deal for the teams. MLB: The $14.5 million total salary will grab you Nelson Cruz in 2018, and just shy of Andrew McCutchen’s salary this season. $6.5 million in 2018 will get you Yankees starter Sonny Gray, Orioles starter Andrew Cashner, or Red Sox first baseman Mitch Moreland, in case you thought you might be able to snag a nice bargain here. NHL: $14.5 million is more than the average contract value of any single NHL player (the highest is Edmonton’s Connor McDavid, at $12.5 million per year), so you could get McDavid and a couple of $1 million players (maybe Peter Budaj and Jordie Benn?). $6.5 million annually gives you a lot of good options, from Carey Price to Erik Karlsson and Derek Stepan. So, the three hosts combined are making more than a whole lot of top athletes, and Greenberg alone is topping lots of prominent athletes as well. And that doesn’t cover any of the other costs associated with this show, from the fancy new 21,000 square foot New York production studios and offices they’re leasing (not just for Get Up, but it’s the main driver of that) to the countless people who will work on this behind the scenes to the salaries of other ESPN people who will appear on it. That’s also beyond moving Greenberg, Beadle and Rose away from other prominent and successful projects and bringing people in to replace them. Of course, ESPN doesn’t have a salary cap, and they can pay talent whatever they want. But that’s only true as long as it doesn’t start cutting into Disney’s overall profits. And that further adds to the pressure for this show to succeed; it has a whole lot of money and promotion invested in it, and ESPN really needs a success story off that investment. But this isn’t going to be easy. The morning TV landscape is a crowded one, and rowded the morning TV landscape is, and that morning slot hasn’t always been a strong time for sports programming. Also, the personalities here aren’t necessarily must-see for everyone; in particular, ESPN management appears far, far more excited about Greenberg than anyone else on the planet has ever been. We’ll see how Get Up does, but the salary information here is certainly interesting, and it shows just how many resources ESPN is pouring into this show.